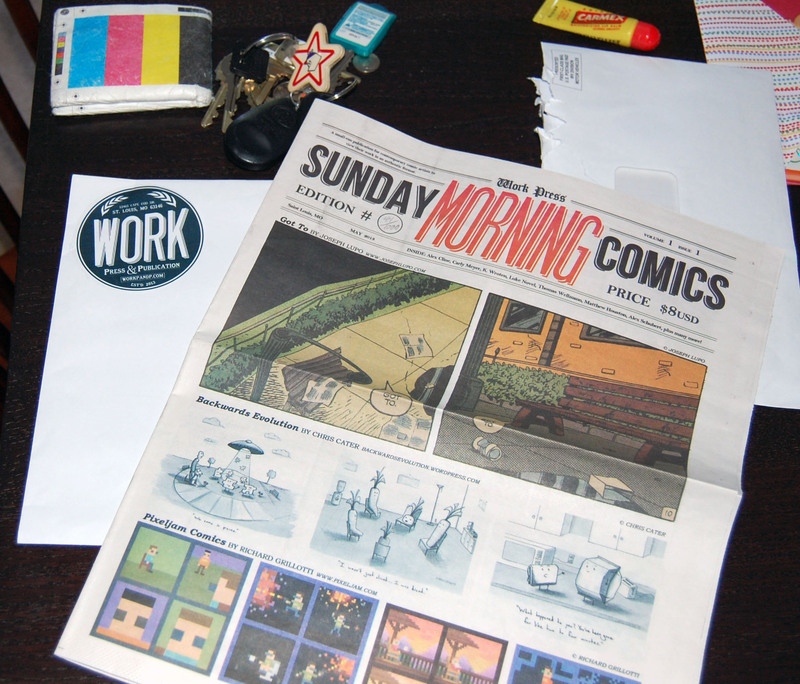 I got my copy of “Sunday Morning Comics”, the WORK project created by Tate Foley. It looks great, and I am so excited have top billing. Tate did a fantastic job putting together a really stellar group of artists. Thanks Tate, and everyone involved.